Take Aim guns started in 1983. My Dad and I had an interest in guns as a hobby. We were avid collectors and shooters. Our interest derived from Bullseye shooting. We collected High Standards, S&W 41s and 52s, and 1911s. We decided to turn our hobby into a business. We traveled all over the state of Florida. Dad’s specialty was gun sales, and mine was custom 1911 parts and building custom 1911s. We worked hard and grew. A major local newspaper did a report on Florida gun sales, at that time, and found us third in the state. We had a strong following so we took our success to Palm Harbor and opened up our showroom in 1987. Our mission was to provide the type of store that we would like to shop in. My Dad retired in 1994, and I took over the operation. I built on our early philosophy. Today’s Take Aim is a family operation with basic goals. Great selection, great service, and great price in a pro shop type atmosphere. We’ve sold over 120,000 guns. That’s an appreciated pat on the back from our many loyal customers. We’re proud of our staff. They are experienced, professional, and part of our family. I’m Joe, the owner, and I hope you enjoy our store as much as I’ve enjoyed bringing it to you. Jack is the store manager. He was a regular customer when he got out of the Army in the 90s. He loved and collected anything tactical. He decided to make his passion a career when he started with us in 1999. He has a deep knowledge of the gun industry, but he is one of the best around when it comes to building and customizing AR15s. He is highly respected for his expertise in class 3 items and the AR. Jack’s personal interest is, what else, the AR15. Brad is my nephew. He enjoys getting out to the hunting property. He has been hunting with me since he was a little guy. His interest is in hunting and AR15 rifles. Brad is an NRA certified instructor for the Concealed Weapons Class. He is also a certified Smith & Wesson MP Armorer. Paul started with Take Aim way back in 1987 at the age of 17. 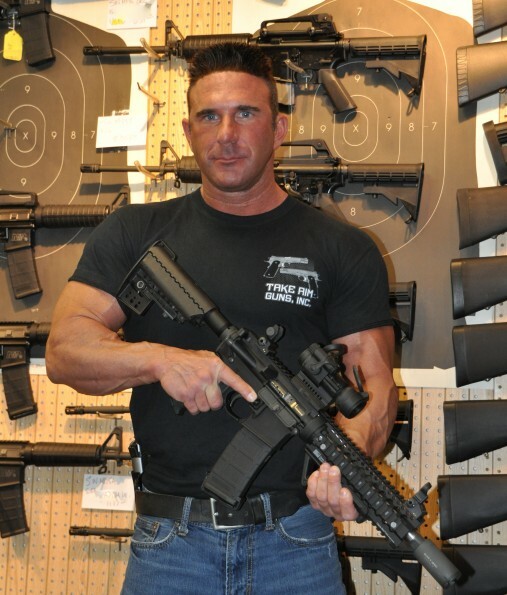 His love for guns and his way with people made him a customer favorite in the 90s as he worked his way up to manager. Everyone who came in asked for Paul. He wasn’t just knowledgeable, he was everyone’s friend. 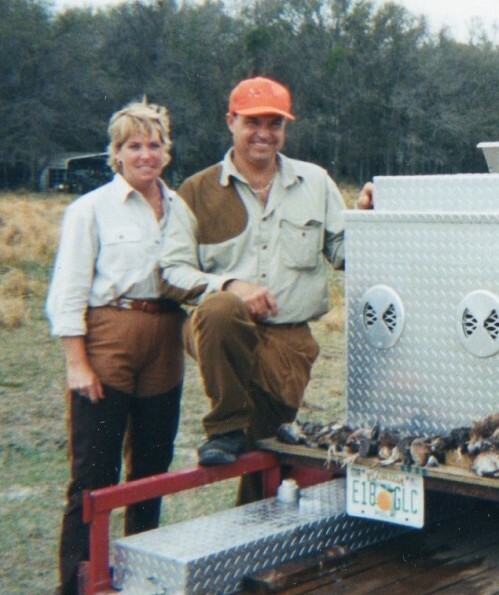 He decided to take a break from the gun industry in 1999, but never lost his interest in it. His old friends were thrilled, as were we, when he decided to come back in 2011. Paul was certified as a factory authorized armorer by Glock and Smith & Wesson. Paul specializes in 1911s and tactical pistols. Alyssa is the parts manager and is my daughter. She has been working around the store since she was little. She was shooting before she could ride a 2 wheel bike. She started working in the store full time in 2005. She brings a unique womens’ perspective to Take Aim. Her specialty is introducing women to shooting, and making them comfortable around guns. She is an NRA certified instructor, and specializes in private instruction for women. But if you think she shoots like a girl, think again. 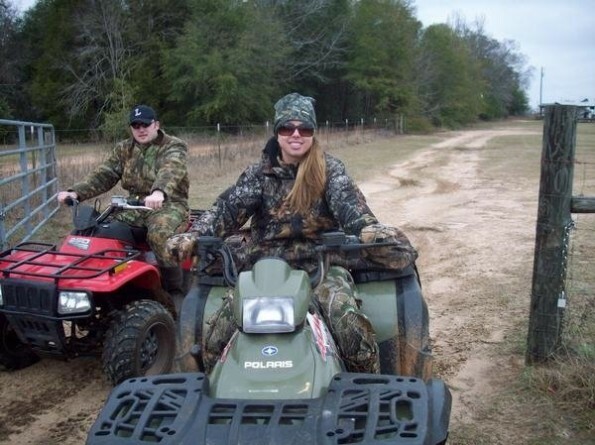 She completed her instructor training as the number one shooter in the class. She was the only girl in a class full of men. Alyssa’s personal interest is a pink gripped S&W revolver in a concealment purse. Joey is my son. He has been around the shop since he could walk. 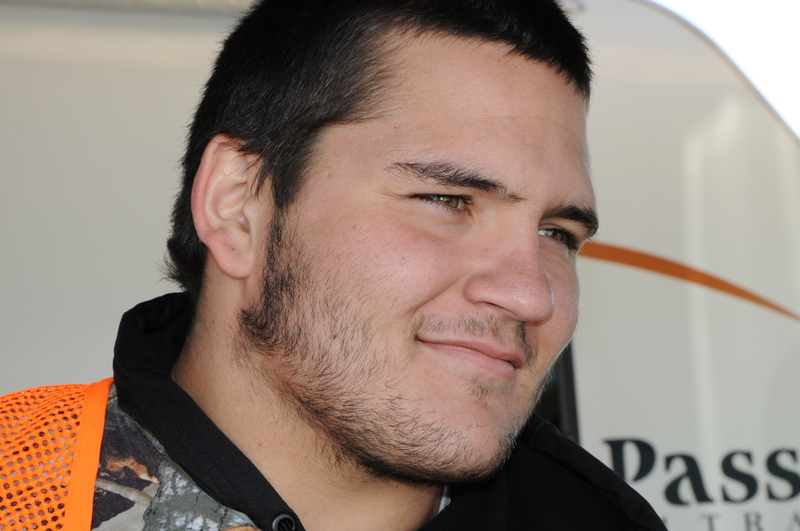 Joey has been an avid hunter and outdoorsman since the moment he was old enough to operate a gun. He is still in school working on a degree in criminal justice at FSU and works part time in the store. He specializes online customer service and social media management. Joey’s personal interests include Deer and Hog hunting and shooting his AR-15. Mike is my nephew and the safe delivery and Gun Show manager. Mike is energetic and has a great personality for people, his customer service is unmatched. He loves the outdoors and does a lot of hunting. He is a certified Smith and Wesson M&P pistol armorer. His favorite gun is the Springfield 1911. 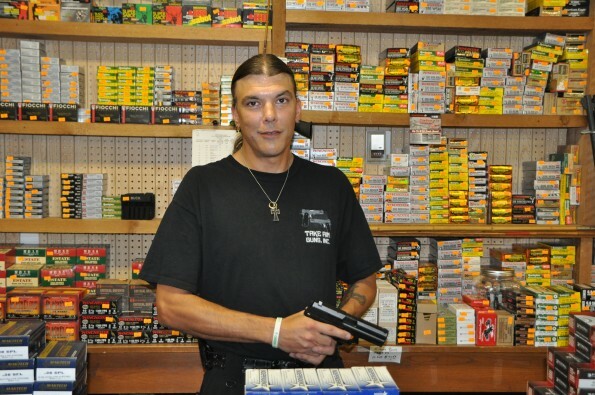 We call him the “Springfield Man”, but he’ll be glad to help you with any gun you like. Matt is the newest member to our staff. In the past year of working here, his knowledge of guns and accessories has increased exponentially. Matt is a quick learner and very personable. He is a great asset to the team. Feel free to ask him any questions you may have. Matt’s favorite gun is the Barrett 50 cal. Cid is our new off-duty enforcement. When he is not working on keeping the streets safe as an Officer with the Sheriff Department, Cid is in the store working hard. Cid has worked as a Police Officer for 34 years, in that time he has accumulated; FBI Firearms & Tactical Training, NRA Firearms Instructor Certification, Sheriff’s Office Firearm Instructor Registration, and many more qualifications. He’s happy to share his knowledge and experience to help you make the right selection. We are thrilled to have this enthusiastic and selfless man added to our staff! Whoadie is our head of security. He started with us when he was 10 weeks old. If you’re a friend, he’ll love you to death. If you’re a bad guy, he could be your worst nightmare. 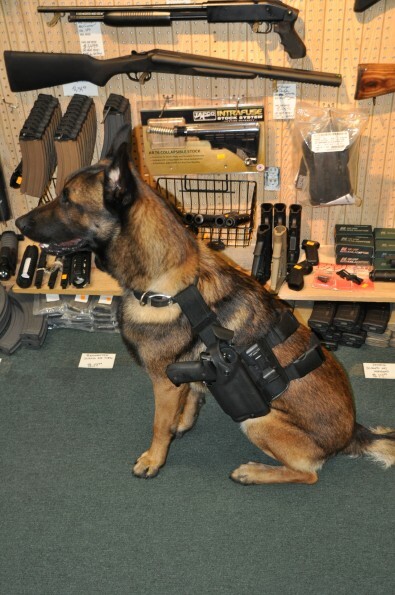 A Belgian Malinois that packs heat, shoplifters never make it far. Whoadie’s favorite gun to carry is the Sig p226 with a side of Scooby Snacks. Tikka is the store greeter and our public relations expert. She makes sure to say hello to every customer that walks through the door. Her favorite hobbies are chasing lizards and chasing deer. When she is not roaming the shop, she is roaming the farm for wildlife to chase.